I consider the current Halloween celebration as alien to the Filipino culture. I remember during my youth that Halloween is not being celebrated. There was no Halloween parties or “trick or treats”. Even scary mask is not for sale at the local sari-sari store. What we had is not a celebration but a solemn commemoration of our loved ones, who passed away. My mother always buy candles before the month of November begins. She lights up all of those candles in the night of All Soul's Day. One candle for each of our departed love ones. 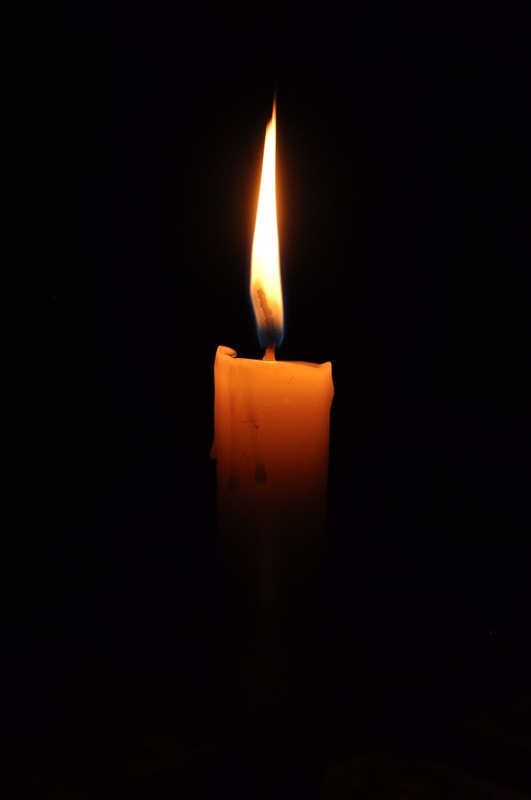 One candle that stands as if in prayer for the sake of their souls. Many people, specifically the youth, already forgotten the importance of praying for their dead relatives. They were distracted, instead, of the Halloween noise that is being promoted by the media and big businesses. The commemoration for the dead suddenly became the celebration for the undead. Wearing costumes of monsters and evil creatures are very cool nowadays that some parents even don their babies with Devil's horn. They even have the audacity to bring the “horned” baby to Sunday mass! A baby, gift of God to the couple, was made to wear a demonic symbol and then brought to Holy Mass! 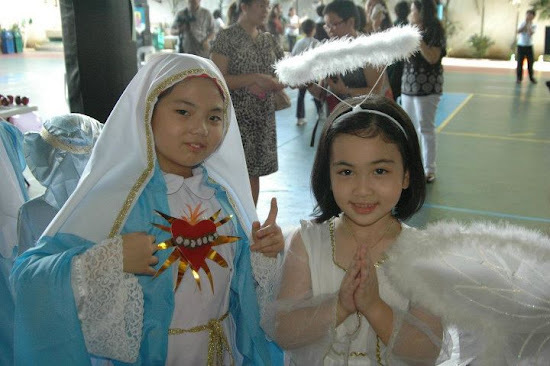 An innocent baby being shown to the Eucharistic Lord as a little demon. What an insult to Jesus Christ, who defeated the Devil by dying on the cross. Saints praying for the sake of those who are still in Purgatory. My father told us a story of their “pangangaluluwa” when they were teens and still living in Bicol. They go to their neighbors houses on the night of All Saint's Day (November 1) or All Soul's Day (November 2) and sing songs for the dead. Their neighbors would either give them money or candles but some refuse to give them any thing. Pangangaluluwa or kalag-kalag in the Visayan Language is nothing but story for me. I am yet to experience it. Unfortunately, traditions like the pangangaluluwa are dying out fast. Young people are more inclined to experience the fads imported from America than ones handed down by our ancestors. There is a reason for the name Halloween. Hallow means holy as in “hallowed be thy Name” in the Our Father prayer. Halloween should be a hallowed occasion and not an occasion to scare people. That's why I approve of activities of some parishes that aim to bring holiness back to Halloween. 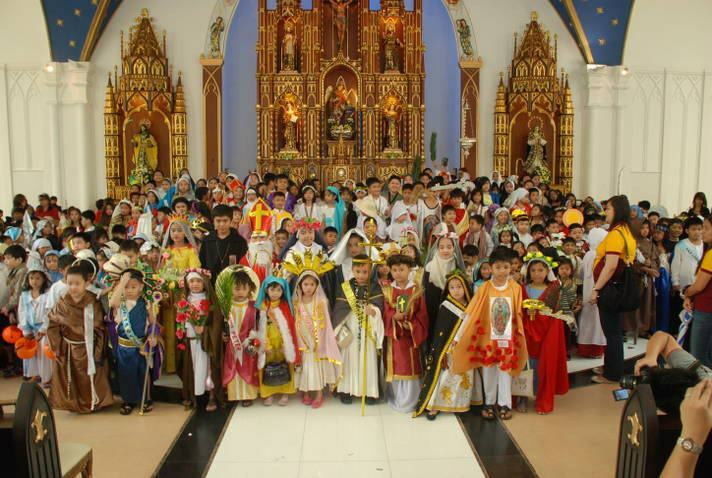 One of this is Halloween Party where the people dress like their favorite saints. Gore, terror, fear – these are the focus of the current Halloween Season. What was forgotten is that this season is the season of holiness and of hope. Holiness of the saints who received the so-called beatific vision and hope for those who are in Purgatory, waiting for God's call. This Halloween is the season for the saints and the departed and I hope you celebrate this season with prayers and reverence to our Lord. 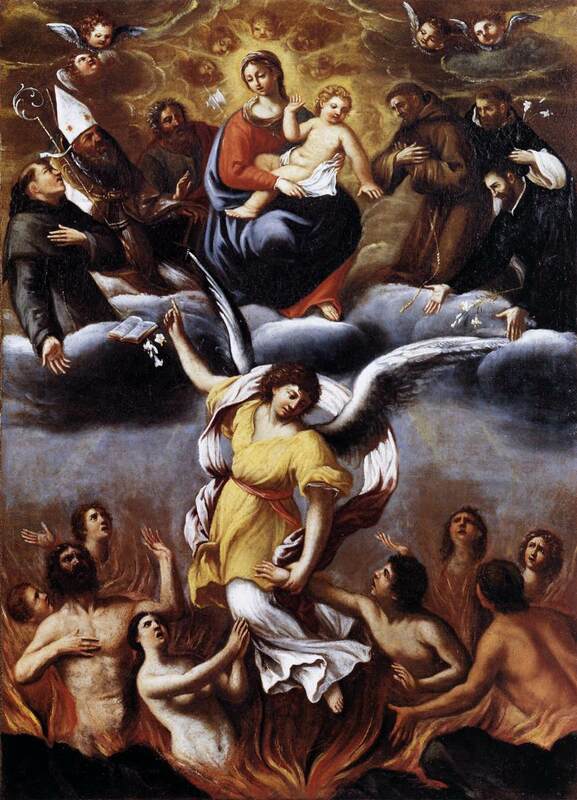 The painting on this blog post was painted by Lodovico Carracci with the title, "An Angel Frees the Souls of Purgatory". The source is Wikimedia Commons. What can you say about the current Halloween celebration? Are there halloween traditions that your family or community observed when you were young? Let's talk about it by leaving a comment on the combox below. Kawawa ka naman. Mag-isa ka pala ngayon. Ang sipag mo kasing magtrabaho eh. belated happy halloween sayo parekoy hehehe! we just stayed at home last nov. 1 and lit some candles on our doorstep. Yes, because we are celebrating the saints and our departed love ones and not the vampires, ghouls and what-nots. Kaya it is better to wear saint costumes. Or better yet, stay at a church and pray for the dead. Parehas ang ginawa ninyo sa ginagawa namin sa bahay. Nagsisindi lang din kami ng kandila.